← Sparkle & Wine: It’s Podcast Time! 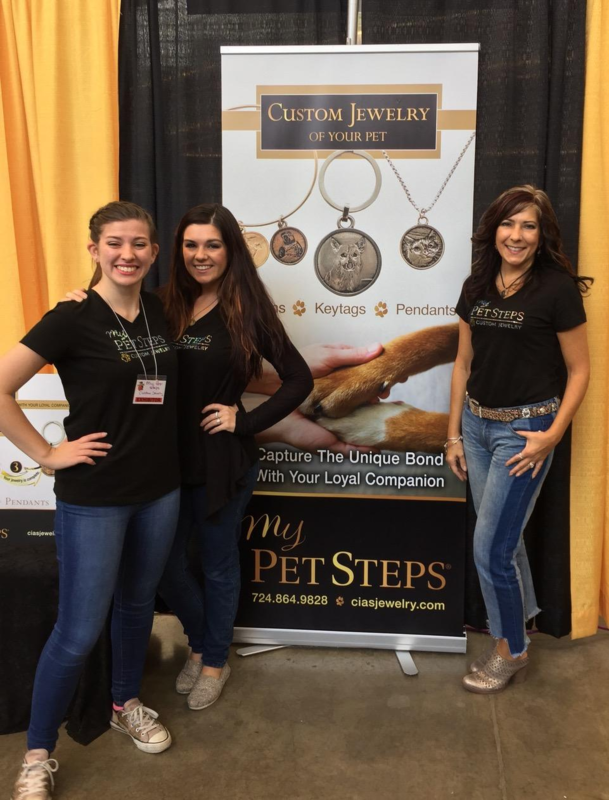 My Pet Steps creates beautiful custom jewelry designed with your beloved pets. We all know the joy and love animals bring to our lives, and their business evolved from their love of animals of all kinds — they have four rescue cats, a dog, a chinchilla, a guinea pig and fish too! (The crew at Sparkle Plenty Designs are fellow pet/animal lovers ourselves, so we’re a fan!). So we can all celebrate this unique bond with our animals, they create hand-made keepsakes that showcase your pet’s photo or paw print. Through modern 3-D technology and old fashion hand-casting, their custom jewelry is designed with your pet’s image. Charms, key-chains and pendants are casted into bronze, silver or gold. Please take a look at their awesome work at My Pet Steps.